As stepmoms our lives are so busy,hectic and full of turmoil at times.We have to deal with alot of different people and alot of different situations that "normal families" do not experience. These involve stepchildren, exwives,grandparents from both sides,aunts,uncles and cousins from all sides.My stepdaughter's mother is deceased but relatives and situations from the biological mother still impacts our lives and always will. We as stepmoms can try to reach across to the other side (ex's family) to keep family ties for stepchildren.Oh, the many things we do for our stepchildren,some noticed and some will forever be unnoticed. Most stepmoms do like some validation from others that they are doing a good job as a stepmom.I am so very thankful for a husband that appreciates the things I do to help raise his daughter as a full time stepmom. I am coming to realize and accept that very few people realize and give thanks to stepmoms outside of a spouse except of course my own mom.She has given me much encouragement. 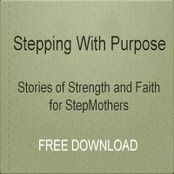 Despite all of our challenges and turmoils as stepmoms,I challenge you and myself to PERSEVERE. To persevere as a stepmom,at the top of the list for me is to PRAY. I realize that I am not on this journey alone but that God is by my side leading me every step of the way.So stepmoms,as the road gets rocky and rough at times, and it will,put your strenghth in the greatest encourager of all-OUR HEAVENLY FATHER! Continuing The Journey! Sounds like you had a trying weekend.?? Hang in there- you are a very caring and patient stepmom! Weekend was good.Just need encouragement from others at times.Thanks for the kind words! !